Democrats show comfort and confidence in advocating for new gun laws. Parkland didn't shatter the calcified politics surrounding gun rights and gun restrictions, just as any number of previous unspeakable tragedies failed to produce meaningful changes in gun laws. That's the perception, at least. But a glimpse at the Democratic Party one year after the Marjory Stoneman Douglas High School massacre tells a different story -- one of comfort and confidence in advocating for new gun laws. Rep. Lucy McBath is a member of Congress, having defeated an incumbent Republican in Georgia after her 17-year-old son was shot and killed. Mark Kelly is now vying to become a senator in Arizona, with his move into politics coming after the shooting of his wife, former Rep. Gabrielle Giffords. At the presidential level, the first wave of Democratic 2020 candidates has come forward with hardly a distinction between them in their commitment to tighter restrictions on access to guns. Former New York City Mayor Michael Bloomberg, who's built a national brand around gun-control efforts, is in the wings, intent on running as a Democrat. On Wednesday, the House Judiciary Committee -- now with a Democratic majority -- moved forward on a bill to tighten background checks. Democrats are talking about legislation on the subject that hasn't moved in a decade. Democrats haven't always been comfortable emphasizing policies perceived as anti-gun. Ask former President Barack Obama, whose "they cling to guns" comment haunted him for years. Now, even if laws aren't about to change, the political landscape around the issue has shifted -- with opportunities for the eventual Democratic nominee, as well as for President Donald Trump. 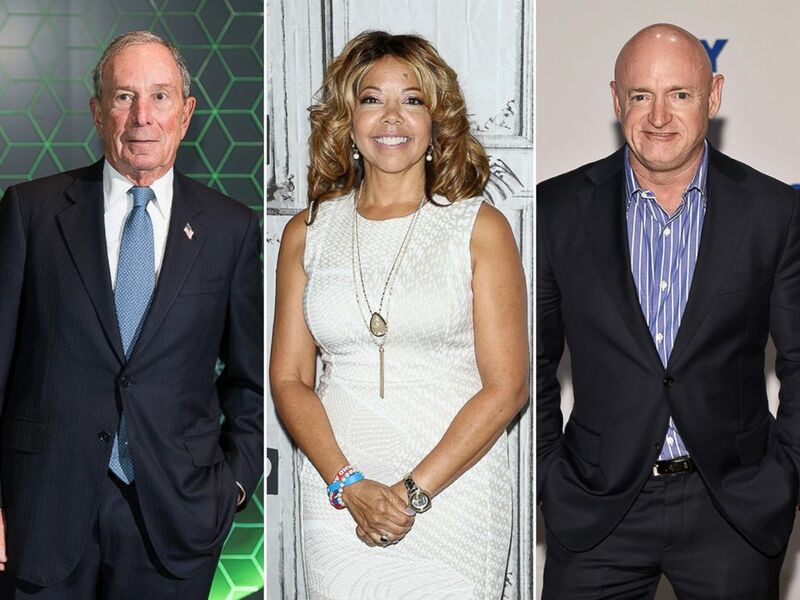 (Getty Images) Michael Bloomberg, left, Rep. Lucy McBath and Mark Kelly. Democratic party leaders will gather in Washington this week to make some pivotal decisions about how the large field of presidential candidates will be winnowed down to the one person who will take on Trump in 2020. Among the numerous items on the agenda for the Democratic National Committee Winter Meeting, which begins Thursday, are choosing a site for the 2020 national convention -- Houston, Miami and Milwaukee are finalists -- clarifying the role of superdelegates in the nomination process, cementing dates for key primaries and caucuses, and possibly providing an update on when candidates may spar in the cycle's first debates. The bitterness felt by some Democrats after the 2016 battle between Hillary Clinton and Sen. Bernie Sanders may be less potent than it was in the months following her loss to Trump, but the party still has a ways to go in proving to members that it's truly learned a lesson. It will also be the first opportunity to gauge, in the race's early stage, a historically diverse and growing field of six women, five candidates of color and the party's first openly gay presidential candidate. Congressional Democrats forged ahead with yet another health care bill Wednesday, one that could see the light of day in the House and provide a moderate approach to 2020 contenders looking to improve upon the Affordable Care Act but stop short of backing a single-payer system. Members in the House and Senate introduced a bill that would give Americans the option of buying into Medicare at age 50. Under current law, Americans are eligible to begin using the government health insurance program starting at 65. The bill essentially creates a public insurance option for those who often pay the most for health insurance. Democrats have long voiced support for various public, government-run insurance possibilities as a way to, in theory, inject competition into the market. The new legislation comes at a time when many Democrats are pushing to make Medicare available to all Americans. (Bill Clark/CQ-Roll Call,Inc./Getty Images) Rep. Brian Higgins speaks with reporters outside of the House Democrats' organizational caucus meeting in the Longworth House Office Building, Nov. 28, 2018, in Washington, DC. 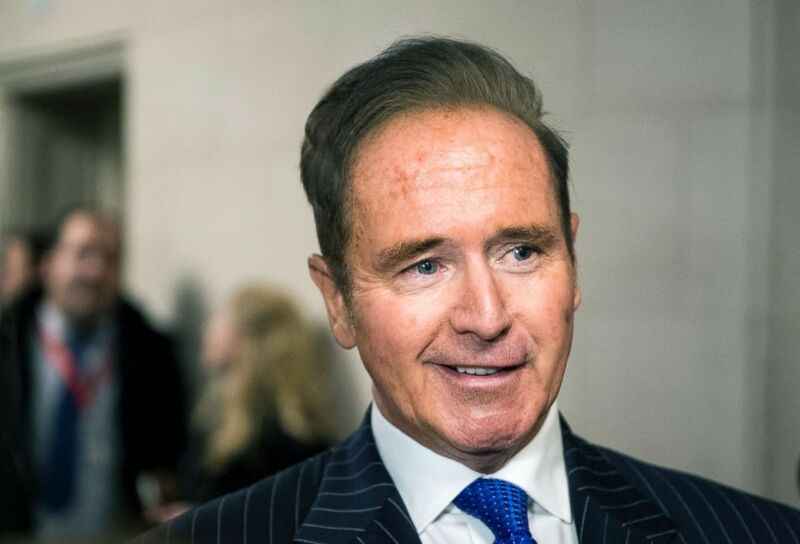 Rep. Brian Higgins, D-N.Y., another co-author of the legislation, told reporters Wednesday this legislation would not preclude a move to a single-payer, Medicare-for-all system down the road, but that this idea could be an on-ramp there and that he expects hearings on the bill in the House soon. Members of the Democratic National Committee gather Thursday for the three-day DNC Winter Meeting in Washington. A second funeral mass for the late Rep. John Dingell will be held at Holy Trinity Catholic Church in Washington at 10:30 a.m. Former president Bill Clinton will be one of the speakers. Former Colorado Gov. John Hickenlooper participates in a New England College town hall meeting with students and local voters at 9 a.m.
New York City Mayor Bill de Blasio speaks at Harvard Kennedy School in Massachusetts at 6 p.m.
Former Starbucks CEO and author of "From The Ground Up: A Journey To Reimagine The Promise Of America," Howard Schultz continues his book tour in Washington at 7 p.m.